Bitcoin Gold was hard forked from the Bitcoin blockchain in November 2017 with a mission to fix the monopolisation of mining on the Bitcoin network. BTG predominantly shares the same features as Bitcoin, with the main difference being an alternative algorithm that protects the network from being dominated by corporate mining pools. It has all the fundamental features of the original Bitcoin. Its mission is to ensure the decentralisation of mining. A hard-fork is when a blockchain is split into two separate chains that share the same transaction history from Genesis until they deviate from each other on separate paths. Hard-forking is a necessary procedure in a decentralised Proof of Work (POW) based blockchain in order to make changes to the network. Equihash is a memory-based POW mining algorithm that is used by Bitcoin Gold. This sets Bitcoin Gold apart from Bitcoin, as Bitcoin’s mining has become relatively centralised by corporatised mining facilities with expensive application specific integrated circuit (ASIC) mining equipment. Equihash, on the other hand, is suited to general computers which the everyday user can use to participate in and mine the blockchain with GPU. Before ASIC’s mining equipment dominated mining, the original vision of Bitcoin was to be available to everyone to mine and decentralised amongst the population. In July of 2018, Bitcoin Gold hard-forked itself again to upgrade its hashing algorithm to equihash-BTG. This hard fork didn’t create a new cryptocurrency like its original hard fork from Bitcoin. Instead, it was done to protect the network from 51% hacks which it had many of in early 2018. A 51% attack is only possible when a single miner controls over 51% of the blockchain hashing power and manipulates the network. Due to these attacks, Bitcoin Gold lost $2.7 million BTG and hard-forked the network with the equish-BTG upgrade to make sure it could never happen again. Jack Liao is the co-founder and board member of Bitcoin Gold. Liao is also the CEO of LightningASIC a Chinese manufacturer of Bitcoin mining hardware, ATM machines, and hardware wallets. Edward Iskra is the director of communications of Bitcoin Gold. Iskra is an American IT specialist who has long-term experience in the financial and pharma sectors. Patomat is a decentralised organisation that provides a POS system for merchants to accept payments with cryptocurrency. Paytomat allows for customers to pay for goods with Bitcoin Gold. 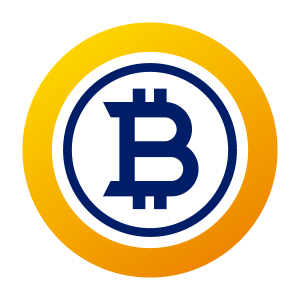 Pool.Gold is a Bitcoin Gold mining pool that is run by a BTG founding member and gives miners the option of donating their hashing power to mine and donate towards the Bitcoin Gold donation pool that is used to develop the network. It re-empowers amateur and small business miners who have been locked out of mining the Bitcoin network due to ASIC monopolisation. Its mission is based on Satoshi Nakamoto’s original vision of a cryptocurrency that is decentralised and mined by a varied population. It has survived multiple 51% attacks, which are every crypto projects worst nightmare. It shares most of the core features of Bitcoin, including a secure and tested network, as well as 21 million coin cap. To refrain from its mining pools becoming centralised it will have to continuously fork its network to stay ahead of mining equipment advancement. This isn’t an ideal solution and may have a limited time frame before hardware becomes too advanced. As it shares many of the same core features as Bitcoin it is due to run into the same scalability issues with network traffic. Although BTG is working on off-chain solutions such as the lightning network, there is speculation that these solutions can become centralised themselves. Lightning network integration in 2018. Sidechains and cross chain atomic swap development in Q4 2018. Private transaction capabilities in 2019. Research on smart contracts and blockchain democracy beyond 2019. There are plenty of conspiracy theories out there about how the founders of Bitcoin Gold made the hard-fork to make a personal profit, but none of that is founded upon evidence and mostly comes from either the BCH or BTC camps. To Bitcoin Gold’s credit they forked from Bitcoin to make mining fairer, and from what I’ve seen in their community threads they are far more focused on representing the miners than anyone else, which is more than I’ve seen from any other coin in that area. Plus, they survived multiple 51% attacks which is every crypto projects worst nightmare and something which no other project has had to deal with. I can only assume that their team had to work hard survive such a thing; it’s too easy to stand on the sidelines and criticise. Personally, I wouldn’t buy Bitcoin Gold, for the most part, I would recommend amateur miners to mine it while it still has value, however, if it is truly a scam then the developers could have just ditched the project when they were attacked and taken their so-called ‘profits’. The current Bitcoin Gold price, market cap and charts. Bitcoin (BTC) – The world’s first decentralised cryptocurrency. Bitcoin Cash (BCH) – The first hard fork of Bitcoin for on-chain scaling. Litecoin (LTC) – A spending crypto built for speed. Bytecoin (BCN) – A spending currency with privacy options. Zcash (ZCASH) – A coin that uses the Equihash algorithm.